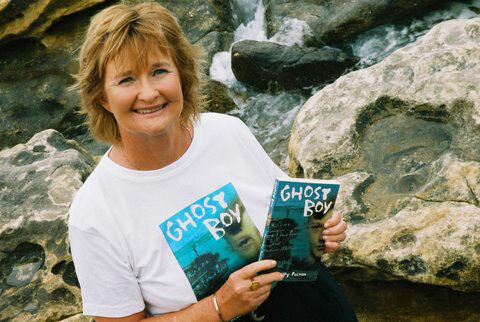 Ghost Boy is on the NSW Premier’s Reading List and on the Victorian Premier’s Reading Challenge list. 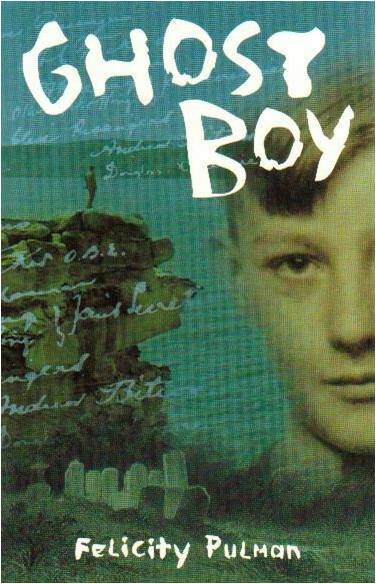 Ghost Boy is a timeslip novel set partly in the grisly past of the Quarantine Station in Sydney. Froggy dreams about drowning. When his nightmare begins to come true, he is saved by the mysterious ghost boy, Tad. Froggy learns that his future lies in understanding the past, when Sydney was gripped by disease and there was death and disorder at the Quarantine Station. Tad has something to hide, and Froggy doesn’t trust him. Cassie could help, but she doesn’t like Froggy and she doesn’t believe in ghosts either! They will have to learn to trust each other if they want to solve the secrets of the past. The final test needs all of Froggy’s courage and strength. If he can find what has been lost for more than a hundred years, maybe he and Tad can both be set free. Extract: ‘His fear of the water began when they came to live at this place. Froggy couldn’t explain it. It was like a dark cloud that shadowed his day and crept into his dreams at night. Fear of the ocean. Drowning. He could feel the salt water seeping through his eyes, his ears, his nose, washing out his skull, dragging his body down into the darkness. 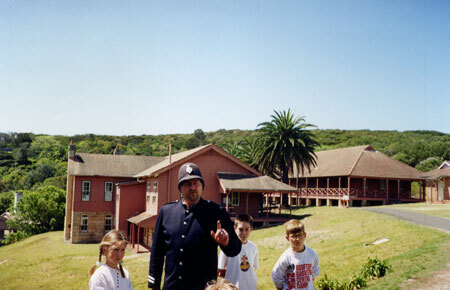 A new version of the Ghost Boy tour is now available at the Quarantine Station in Sydney. 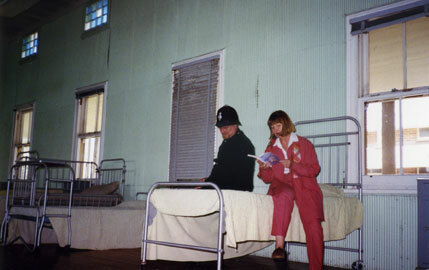 This tour is for students (primary and lower secondary) who are reading the novel in school, and it’s a great way to bring the novel and its characters ‘to life’ as well as immersing students in the past, giving them information about immigration and the class system plus the early treatment of disease. The station is a magnificent site but it has a really creepy past; it is full of atmosphere and guides who work there swear the place is haunted! Phone the Education Co-ordinator on (02) 9466 1566 or visit www.quarantinestation.com.au for prices, curricula links, teacher’s kits, risk management documents and FAQs and to make a booking for the Ghost Boy tour. Bookings essential. See also ‘For teachers‘, or visit www.randomhouse.com.au for teachers’ notes. Read the ‘Ghost Boy’ reviews. Read the article by Felicity – Disease and Quarantine. Please note that Ghost Boy is covered by a Print on Demand order with the publisher and is therefore always available. 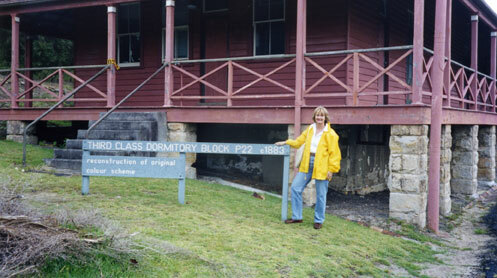 Third class accommodation at the Quarantine Station, Sydney. 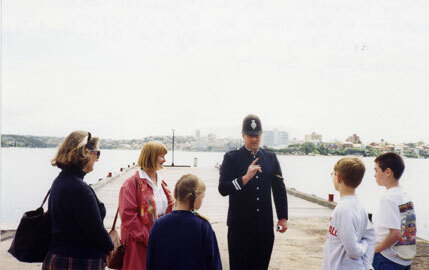 On the Ghost Boy tour with 'Constable Brian McDonald', a guide at the Quarantine Station. Third class quarters at the Quarantine Station.